Four Seasons Resort Punta Mita debuts Dos Catrinas. INTERNATIONAL REPORT—Four Seasons Resort Punta Mita is adding a new restaurant with nods to Mexican culture; InterContinental’s San Diego property ushered in new chefs; and The Peninsula Chicago opened a bar with city views. Four Seasons Resort Punta Mita has started on a new dining destination set to debut this December. 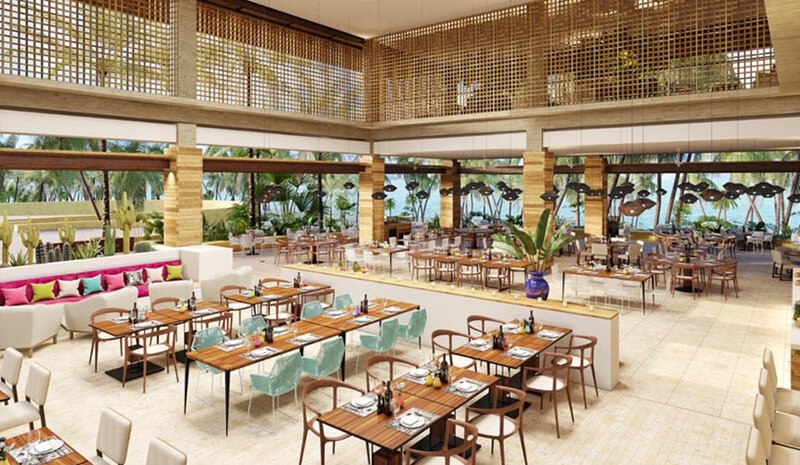 Replacing the resort’s signature restaurant, Ketsi, the new Dos Catrinas concept will marry Mexico’s past and future with a new dining experience set in a modern, reimagined space, according to the company. Designed by Colombian architect Saul Sasson, Dos Catrinas will bring together Mexico’s traditional culture, urban lifestyle and history in a two-story space with ocean views. The ground level will have the main restaurant and bar while the second level upstairs will offer guests a second bar and lounge. The 5,383-sq.-ft. venue will accommodate up to 278 guests. All construction materials, furniture and accessories will be sourced locally. InterContinental San Diego has brought on Chef Paul McCabe and Chef Amy DiBiase for the hotel opening in September. Merging together their industry expertise, the duo will collaborate on a signature restaurant concept. Five dining venues, each with views overlooking the bayfront, will include the signature restaurant, the first-ever California location of Del Frisco’s Double Eagle Steakhouse, 19th-floor rooftop bar, fourth-floor pool bar and café. Chef McCabe will oversee the hotel’s F&B program, including banquets serving 95,000 sq. ft. of event space. McCabe has more than 30 years of experience and training, and was previously with Town and Country Resort and Convention Center in San Diego, and Royal Palms Resort and Spa in Arizona. Chef DiBiase will manage all aspects of the hotel’s signature restaurant, fourth-floor pool bar and in-room dining. DiBiase brings more than a decade of San Diego-specific experience to her new role, following her most recent position with Grand Restaurant Group and the opening of Tidal at Paradise Resort & Spa. Z Bar, the globally inspired rooftop bar at The Peninsula Chicago, is now open after two years in the making. The venue has originally crafted cocktails, and views of Lake Michigan, the Hancock and Water Tower from an outdoor terrace. Small plates are inspired by Asian, European and American cuisines. Z Bar will also have a variety of classes and other experiences to take guests behind the scenes with the experts.